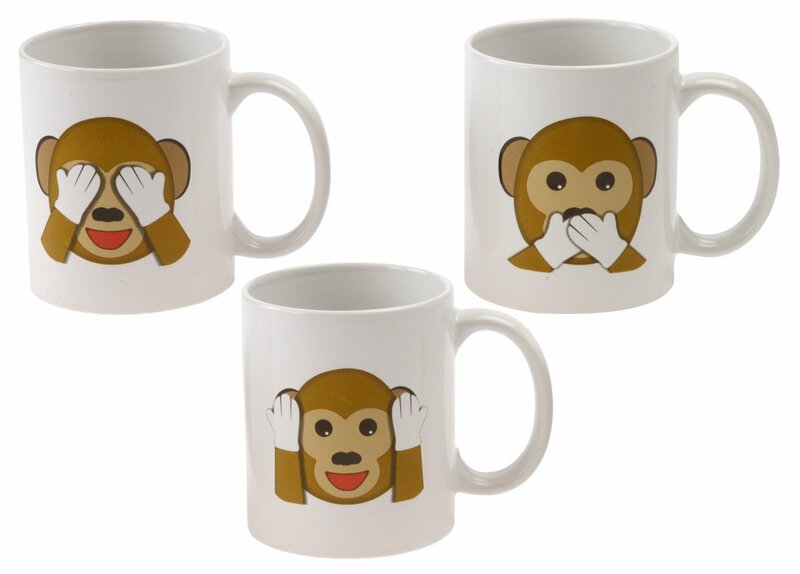 Home › Home and Kitchen › Emoji Universe: See No Evil Monkey Emoji Coffee Cups (Set Of 3); Choice Of St..
Emoji Universe: See No Evil Monkey Emoji Coffee Cups (Set Of 3); Choice Of St..
Emoji Universe Has Done It Again; This Time With Emoji Coffee Mugs For EveryTheme Imaginable. This is Our Monkey Set. All Emoji Universe Emojis DesignedBy Kangaroo Art Department. Warning- All 3 Monkeys Are Very Cute! Each CoffeeMug Has Brand New Kangaroo Emoji Artwork!